With rising fuel prices and stringent emission norms around the corner more and more manufacturers are checking possibilities of alternate fuel for their vehicles. 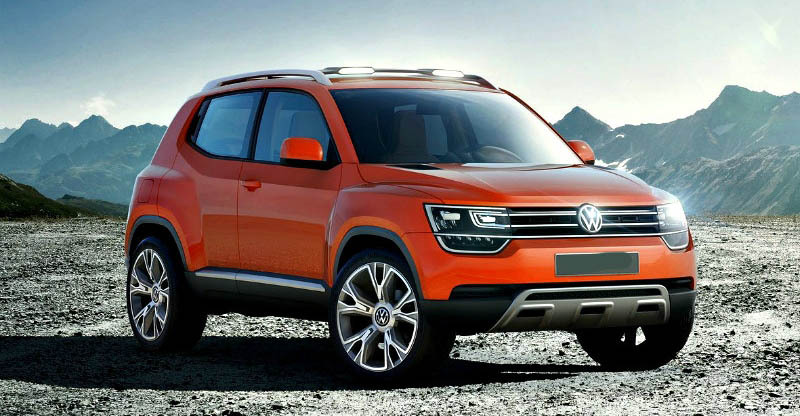 Volkswagen group India is one such manufacturer. They are planning to explore the potential of CNG-powered cars in India. The German automaker will debut a new compact SUV in 2020-21, and has clearly indicated that it will not a diesel engine on offer. The SUV will be powered by a turbocharged petrol engine, which is also expected to be configured to offer a CNG-Petrol option. The use of CNG makes an immediate and direct contribution to the reduction of emissions. When compared to petrol or diesel powered car, CNG vehicles release approximately 25 percent less Carbon Dioxide (CO2) during combustion. CNG also burns more cleanly than petrol and diesel. Natural gas is the main source of CNG and they are highly efficient and emit low polluting particles, because of this natural gas engines are gaining popularity among the buyers. Volkswagen is already offering a number of models with natural gas engine in the international market like Germany. Volkswagen calls it as TGI powertrain. Electricity is the other source of fuel for vehicles in the future. Volkswagen’s premium brand Audi has already stepped in with electric car E-Tron and Audi is expected to launch it by the end of 2019 in India. But for Volkswagen things are a bit different. It doesn’t see business viability in the electric vehicle segment. Main reason behind this could be the high cost of manufacturing and lack of clarity on government policies. In short, the electric vehicle segment for Volkswagen group is likely to remain only in the premium segment for some time. Maybe CNG makes more sense if we can get a network in. Let’s not forget if we get electrics, the batteries are going to come from China. We may be assembling the batteries here but the cells will still be imported. We may be reducing our oil import bill but we may end up increasing other import bill. He added that VW will launch models from all subsidiary brands in Electric vehicle space after evaluating the market conditions. He said in India, carbon footprint of an electric vehicle is no less than that of a BS VI engine because fossil fuels are used as a source in India to generate electricity. Boparai sees CNG as an excellent option for a country like India.